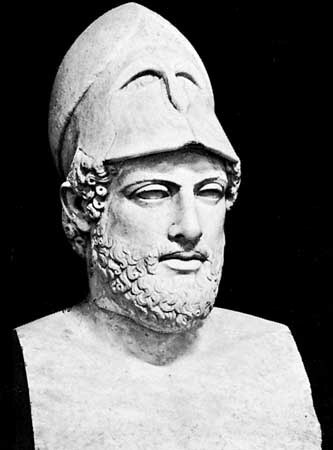 The earliest recorded methods for influencing public opinion are shown by the Greek tyrant Pisistratus. In the 6th century BCE Herodotus describe Pisistratus returning to the city with severe injuries to both himself and his mules, making loud claims that he has been attacked by his people’s enemy (when in truth he had inflicted the injuries upon himself). He then appealed to the Athenian people to bestow upon him an honour guard, a small contingent of Athenian soldiers who would protect him should he be attacked again. This is known today as “victim hegemony”, the appeal to one’s people for the righting of a wrong committed on them by others. This sways public opinion by appealing to their moral integrity, the question “what is the right and just thing to do” is posed. More recent examples include Hitler’s invasion of Poland and the US war in Vietnam. Both of these wars were justified to the people by presenting them as the only possible course of action, retaliation against the injustice of the enemy. We can also see this method employed in today’s War on Terror, a response to the terrorist attacks on the US on September 11th, 2009. The second method employed by Pisistratus followed his use of the honour guard to attack the Acropolis, he was expelled from Athens but returned with a beautiful women dressed as the goddess Athena by his side. When addressing a predominantly religious mass, it is always favourable to present the idea of “God is on my (and therefore our) side”. Perhaps one of the earliest tangible examples of propaganda is the Behistun Inscription dated 515 BC and written by King Darius I of Persia. 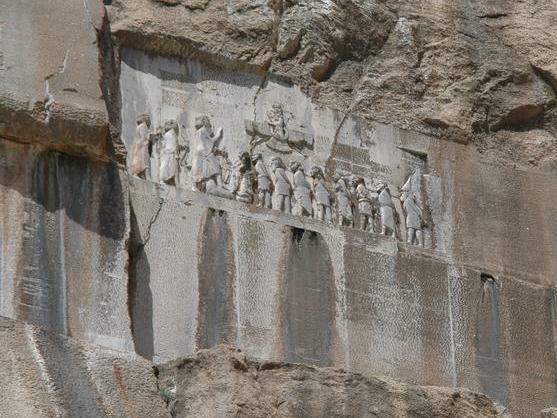 The inscription can be found on Mount Behistun in the Kermanshah Province of Iran and proclaims the glories and victories of this ancient king. The Old Persian, Elamite and Babylonian translations of these proclamations have helped greatly in the translation of ancient cuneiform. Line (13) King Darius says: (…)For this reason did he slay them, ‘that they may not know that I am not Smerdis, the son of Cyrus.’ There was none who dared to act against Gaumâta, the Magian, until I came. Then I prayed to Ahuramazda; Ahuramazda brought me help. On the tenth day of the month Bâgayâdiš. I, with a few men, slew that Gaumâta, the Magian, and the chief men who were his followers. At the stronghold called Sikayauvatiš, in the district called Nisaia in Media, I slew him; I dispossessed him of the kingdom. By the grace of Ahuramazda I became king; Ahuramazda granted me the kingdom. Line (14) King Darius says: The kingdom that had been wrested from our line I brought back and I reestablished it on its foundation. The temples which Gaumâta, the Magian, had destroyed, I restored to the people, and the pasture lands, and the herds and the dwelling places, and the houses which Gaumâta, the Magian, had taken away. I settled the people in their place, the people of Persia, and Media, and the other provinces. I restored that which had been taken away, as is was in the days of old. This did I by the grace of Ahuramazda, I labored until I had established our dynasty in its place, as in the days of old; I labored, by the grace of Ahuramazda, so that Gaumâta, the Magian, did not dispossess our house. Line (15) King Darius says: This was what I did after I became king. This text is both a proclamation of right to rule and of divine sanctity. By placing this text high on the mountainside for passers-by to see, Darius sought to inspire admiration from his own people, and fear from others. It was grand projects such as these that solidified a ruler in the minds and hearts of his people. During Darius’ reign there were many revolts and it was vital that he keep the loyalty of his people and his armies. He re m inds them how they lived in fear under their previous king and how his family is the only one with the divine right to rule. He enumerates the improvements he has made both culturally and politically while also invoking religion. These dominant ideologies of his time and his people, when reinforced and repeated, make for a very successful method of propaganda. This method of honouring the dead, proclaiming the superiority of one’s country and telling of the fortune to be had in the future is still used today in public addresses. These methods seek to inspire young and old with the pride and possibility of their country. These emotions may then be called upon in the future to illicit immediate support for whatever endeavours a leader so chooses. Maintain attention. Sometimes, raising of the voice or vigorous bodily gestures will be needed. 10. Do the opposite towards your opponent, harping on his or her weak points, deflecting attention away from the strong ones. 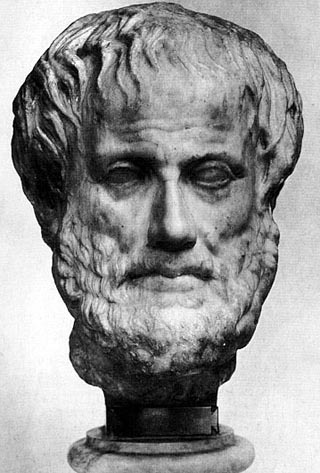 These ten requirements stated by Aristotle are also crucial to the success of propaganda. Jacques Ellul mentions each and every one of them through his book Propaganda: The Formation of Men’s Attitudes, considered by Marlin and most to be the leading work on the subject. Augustus is known throughout history for being an extremely skilled propagandist, more so even than his great-uncle Julius Caesar. Ruler of the Roman Empire from 31 BCE to 14 AD, Augustus broug ht Rome from “a city of brick to a city of marble”, a fact that he boasted often. Starting in 13 BCE he had the Ara Pacis (Altar of Peace) built, which depicted the entire imperial family and images of Romulus and Remus circling an altar to the glory of Rome. He did this to assuage the fears of the Roman people that the establishment of the new Empire would bring back the tyranny of Roman Kings past. 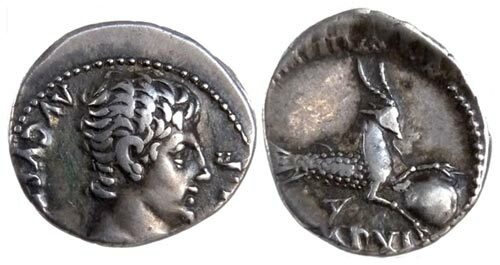 Augustus also had his face minted on the roman coin, along with his many accomplishments. This led the people of Rome to associate his likeness with power and wealth, bringing them together under his rule. These visual assertions of virtue served as a reminder of the tremendous power of Augustus, but also of his peaceful nature and prosperous dreams for the empire. Obviously these absolutes conflicted with Christian beliefs in the absolute power of God. This was reconciled by employing the methods we saw earlier in Roman history and even as far back as the Greeks (see Pisistratus). By coronating the king as the divine delegate on earth, religion did not conflict with the total power of the monarchy. Rather it (and family history) provided enrichment to the credibility of the individual being crowned. With the invention of the European printing press in 1444 by Johannes Gutenberg came a new chapter in propaganda. With the momentous occasion of Martin Luther nailing his 95 theses on the door of the church in 1517, the first leaflet campaign was born. Pictures mocking the King and the church were distributed on a mass scale and word of the Reformation spread throughout Europe at an unprecedented pace. Thanks to the simplicity and caricature style of the drawings, the illiterate still received the message loud and clear. This lesson in mockery and parody has served propaganda well since then; it is still used today in leaflet drops in Afghanistan. Pamphlets were also distributed, usually only 10-18 pages long they served as newspapers, prayer sheets and history lessons for followers of the Protestant faith. The Catholic Church attempted to use pamphlets soon after during the Counter-Reformation, but to much less success. It seems that the novelty of printed word had served the Protestants well and the use of it by the Catholics only served to enforce its association with the Protestants. 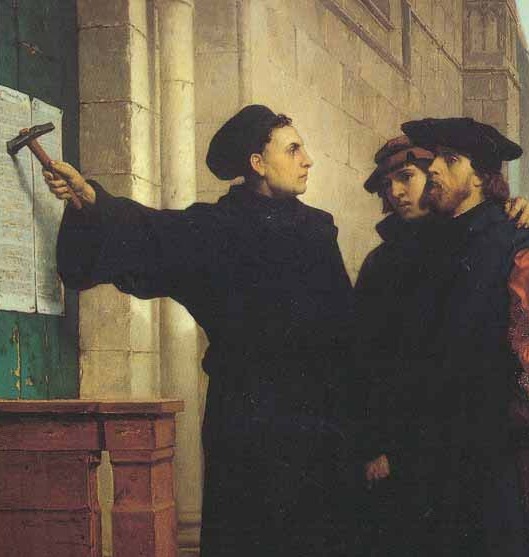 The translation of the Bible by Martin Luther and its ability to be distributed on a mass scale solidified the effectiveness of propaganda during the Reformation. 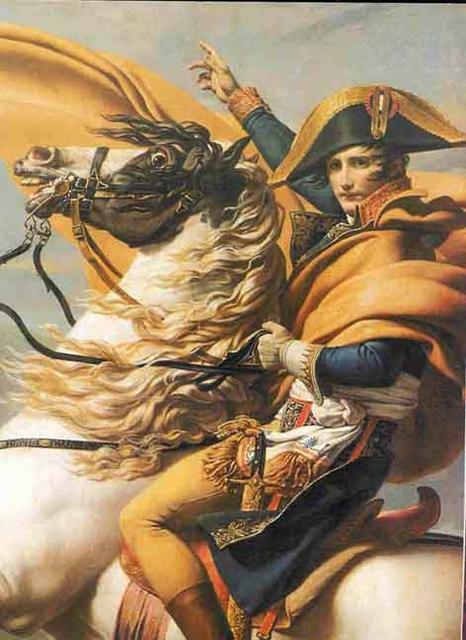 In 1804, after great military and political achievements, Napoleon Bonaparte was named Emperor of France by the French Senate. As with Aristotle Napoleon understood the vital importance of knowing one’s audience. He focused on teaching children from a young age that Christian loyalty to God extended to him as well. In order to control public opinion Napoleon cut the number of newspapers from 73 down to 4, insisting that he view and approve all news before publication. He diverted attention away from his own censorship by pointing it out as a major flaw in other countries, while his newspapers were ordered to grossly exaggerate his successes and ignore any defeat. By awarding medals and bursaries to artists, actors and war veterans, Napoleon cultivated a view of himself as a magnanimous ruler. The people of France were not oppressed; rather they saw themselves reflected in their leader and were proud to follow him. **The aforementioned historical events were taken from Randal Marlin’s book Propaganda & The Ethics of Persuasion, they were chosen for their exhibition of varying yet effective methods of propaganda through history up until WWI. The original source for some of the above ideas contained in my book is Jacques Ellul’s “Histoire de la propagande.” For those who can read French this book is well worth consulting, as it contains many other insightful observations.